Wow! That’s such a cool shot with all the reflected bulbs! Difficult photography, but beautifully done. 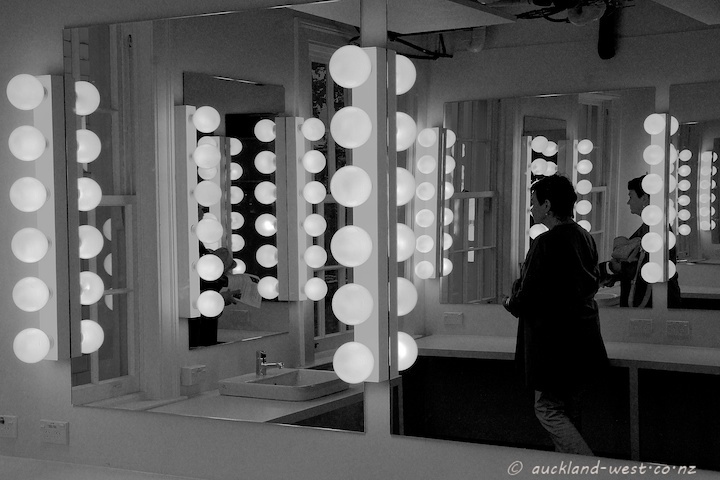 I love all the reflected light bulbs and mirrors. Really wonderful composition in B&W! Great reflections! amazing play of pools of light. Like some beautiful illusion. A great and special photo in b&w! “green room” to em means artists waiting for result to come. Cool image. Could be something for my “catching light” meme. 🙂 Open mondays.